With much of his youth spent in the field working numerous construction trades throughout the Midwest, Dan’s undergraduate studies in Construction Management at OSU eventually led him toward management-level positions. In his thirty-five years of experience, Dan has worked in mortgage banking as a National Account Manager, a Project Manager for high-end residential and multi-family developments, and as a Site Superintendent for custom residential, TI and boutique commercial projects throughout Southern California. A virtual walking encyclopedia, Dan’s ability to source, implement, design and problem-solve are unparalleled. 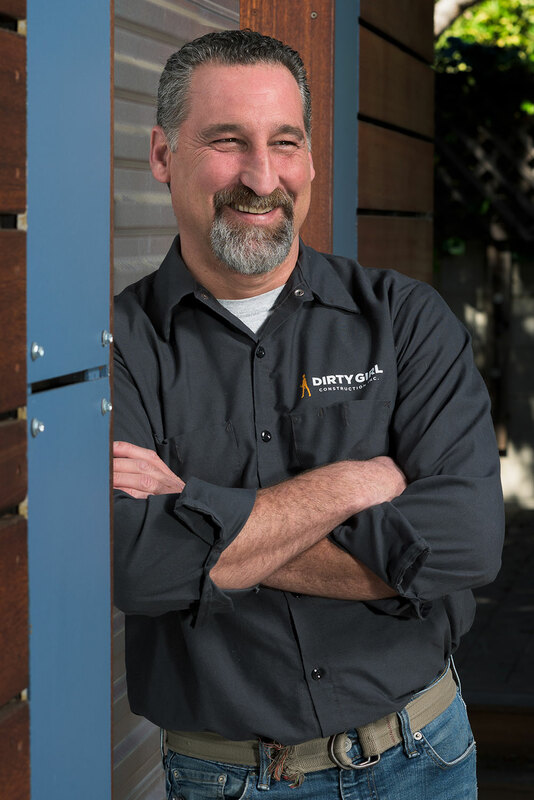 Not only is Dan the backbone of Dirty Girl Construction’s safety and field operations, he is valuable resource and interface for Dirty Girl’s development and investment clients. During Dan’s free time, he fancies listening to vinyl records, restoring antique electronics and corralling his three dogs, cat and school of tropical fish. A native Venetian and fourth-generation Los Angeleño, Ari has been working in the construction industry for over thirty years. After cutting his teeth on all trades under the guidance of his father, he attended UCSD and graduated with a BS in Physics in Applied Mathematics and Engineering Sciences and a BA in Psychology in Cognitive and Behavioral Sciences, with a minor in Visual Arts. During his post-graduate work at UCLA to further study Engineering, Ari took over the family business. Carrying B, C10 and HIC licenses since 1996, Ari ran a highly successful construction company with a focus on foundation and framing for the next twenty years, which further honed his understanding of applied structural and civil engineering practices. Following years of working as a subcontractor for Dirty Girl Construction, Ari decided to join the team in the role of Structural Supervisor. During his free time, Ari enjoys golfing, reading and spending time with his wife, son and two dogs. Ari is currently the tallest Dirty Girl in the company. Hope has over twenty years experience in residential and commercial Interior Design. She attended Bradley Academy for the Visual Arts, majoring in Interior Design, and received her Associate Degree in Specialized Technology in 1997. Post-college projects included the likes of Old Navy and Rite-Aid during her tenure with Charles E. Broudy & Associates, Ewing Cole and Ballinger Interior Design through 2005. Hope went on to work as an Interior Designer for Snaidero until 2007, after which she became the President and Design Director for Bellus Kitchen Design Studio in Santa Monica through 2011. Since then, as an independent contractor, she has added her skill set to a handful of high-end design firms. 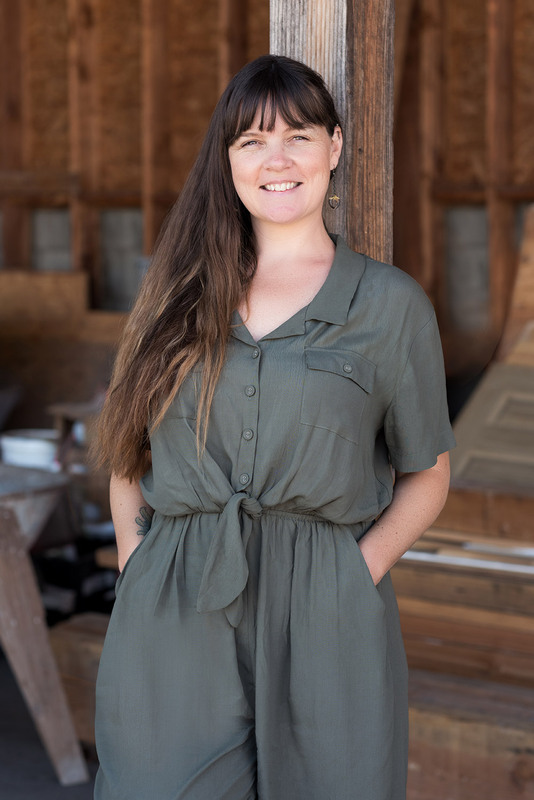 Her experience in all phases of design and documentation, from conception to construction, make her an integral part of Dirty Girl’s Design-Build team. Along with receiving her LEED A.P. in 2004, Hope has won awards in both environmental and conceptual design. When she can get away, Hope likes to visit family on the East Coast or travel to the Dominican Republic with her husband and daughter. Boxing is also a hobby—she may be small, but the lady can pack a punch! As problem-solver extraordinaire, Cat comes equipped with the ability to set things in motion. After earning her Arts degree in Film Production at the Brooks Institute of Photography in Santa Barbara, she segued into a marketing career, leading event teams and designing advertising collateral for Fortune 500 companies in the fashion and food industries. Cat’s production expertise—both logistically and artistically—coupled with a calm temperament and detailed eye, has birthed the ideal project manager for DGC. Though her life may have been simpler as a boom operator, she relishes her new role as first point of contact and master of the firm’s workflow. Cat dedicates her personal time to making a change in the world, whether through rallies, fundraisers, or community events—her teenage daughter in tow. Her favorite pastimes include hoarding vinyl records, handcrafting, and cooking up delicious foodstuffs—some of which luckily end up in the bellies of her co-workers!